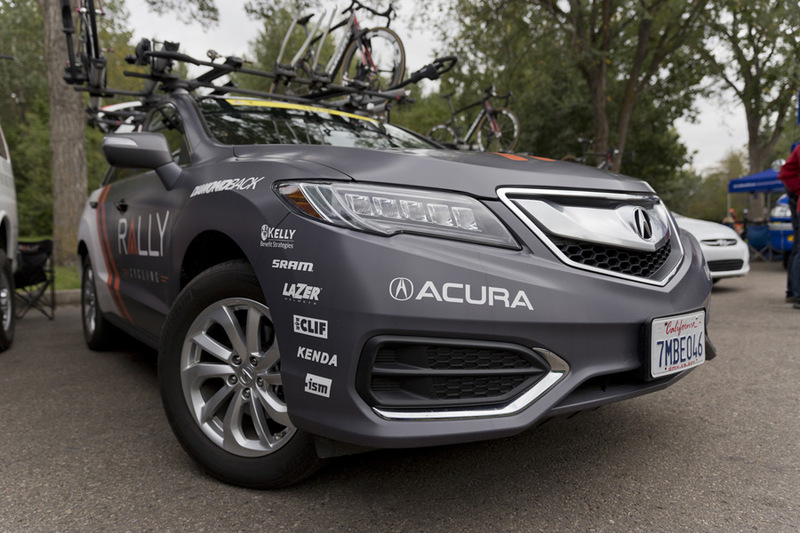 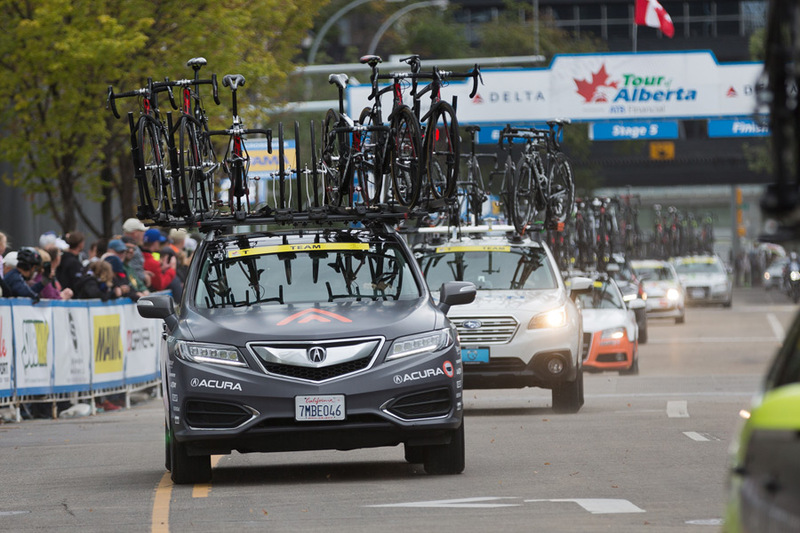 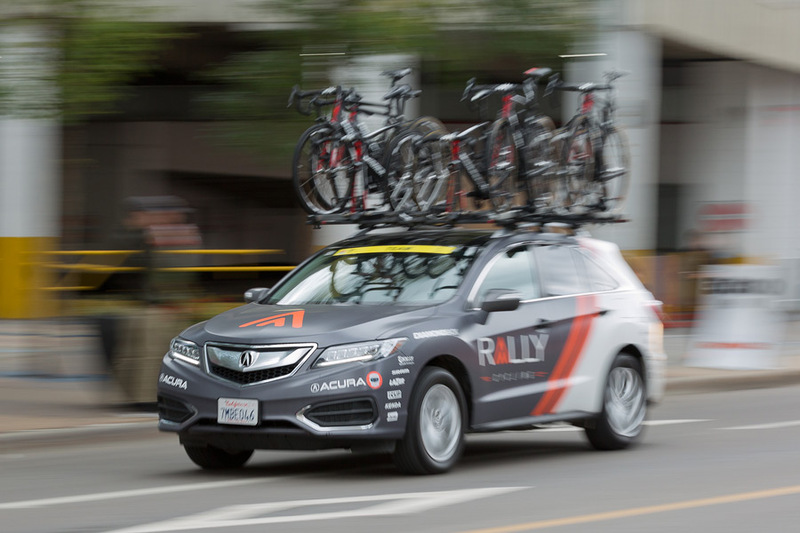 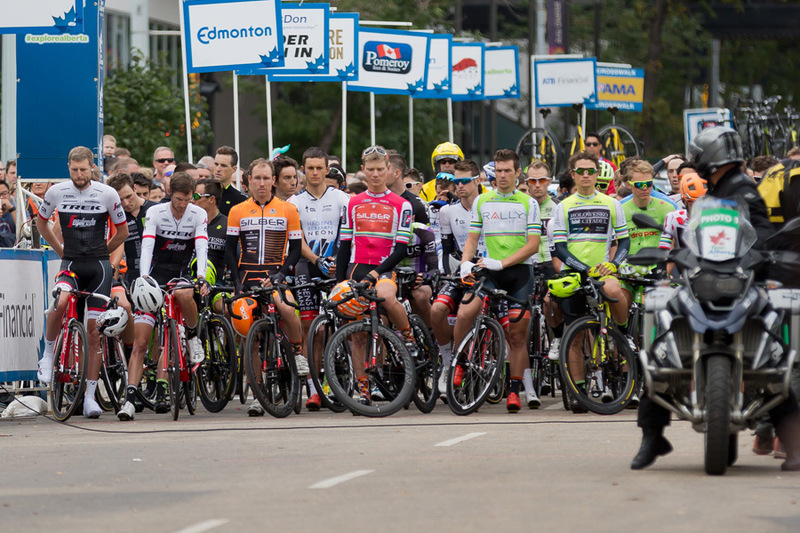 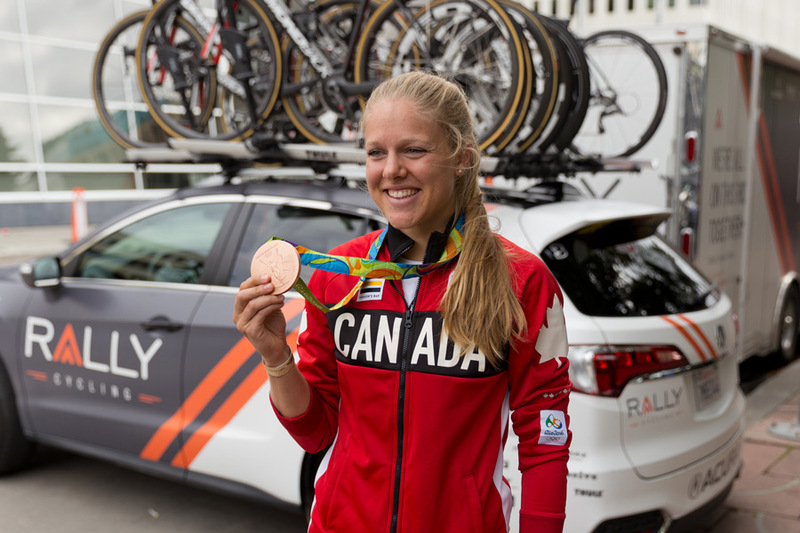 Powered by two Acura RDX support vehicles, the Rally Cycling team recently competed in the Tour of Alberta cycling race that concluded this past Monday in Edmonton. 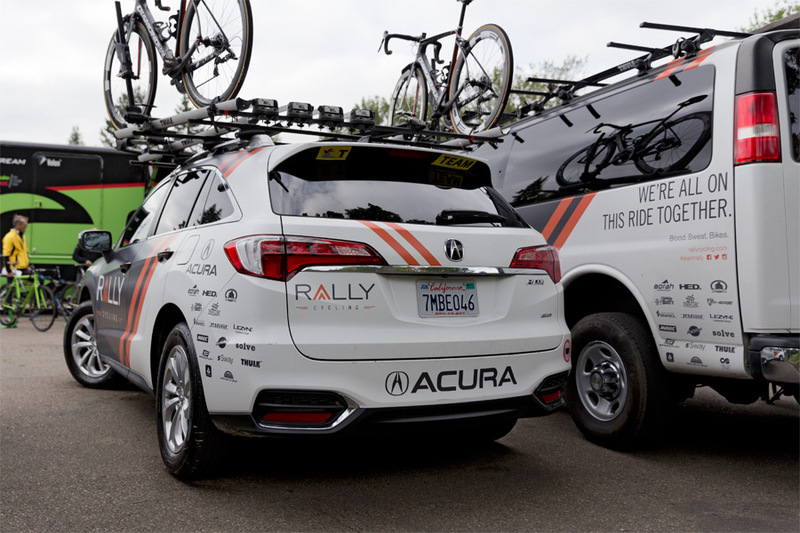 Acura provides Rally Cycling(formerly Optum Pro Cycling) with a fleet of support vehicles that relentlessly tour with the team through multiple races across North America. 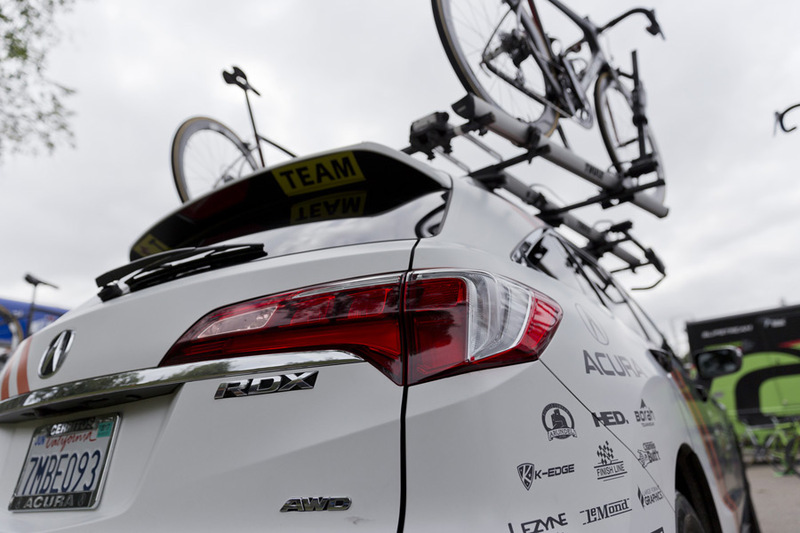 But what exactly is the job of the support vehicle and its crew? 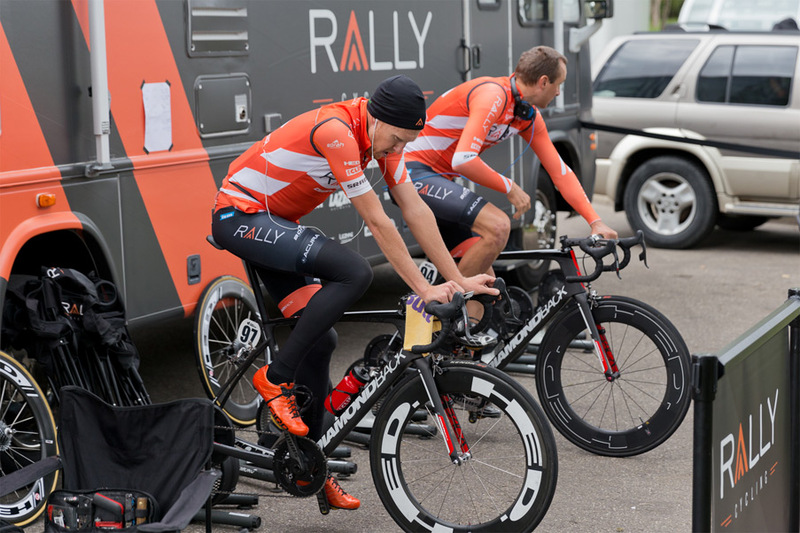 I met up with the Rally Cycling team for the last two stages of the Tour of Alberta for a bit of insight. 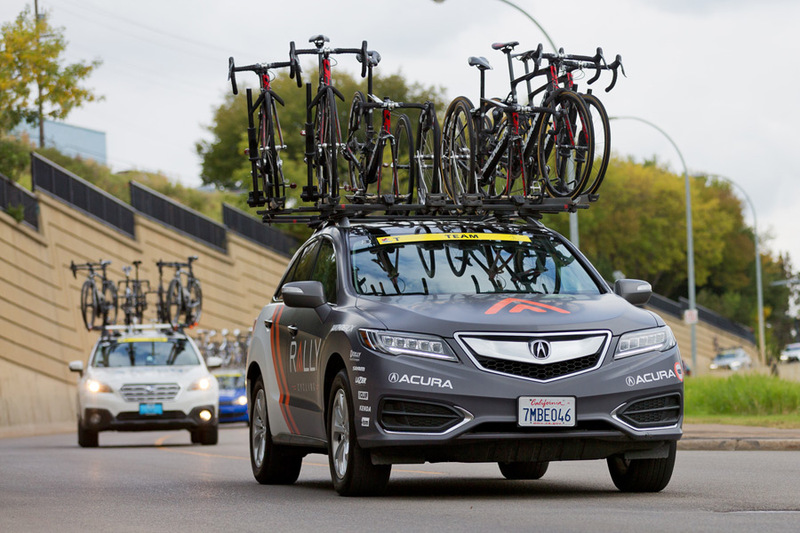 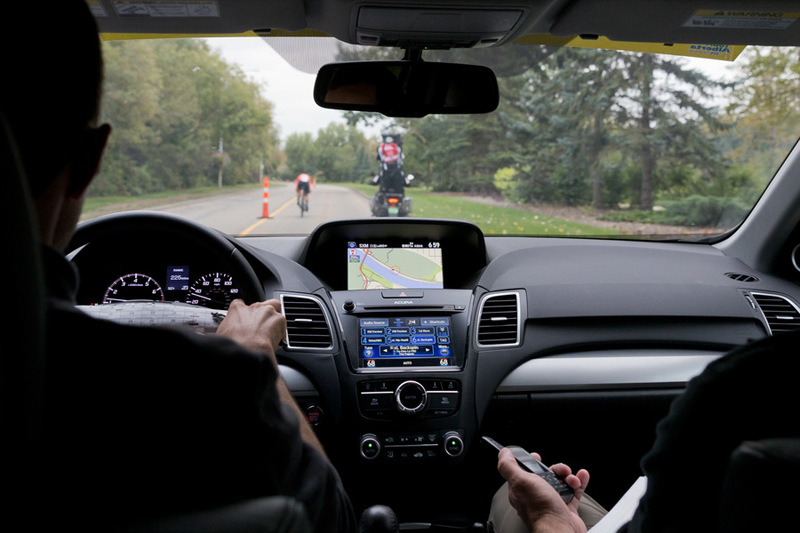 The two 2016 Acura RDXs were wrapped in team livery and equipped with custom roof racks to accommodate multiple bikes, but other than some radio equipment installed in the cabin, the vehicles were pretty much stock. 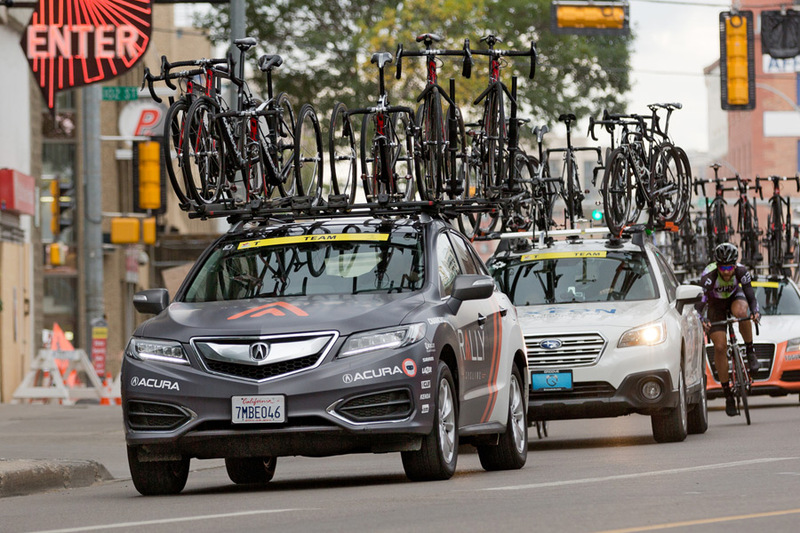 I was sandwiched in the backseat of the RDX with the team mechanic, a spare tire, and my camera gear when we took a lap through Edmonton for the time trial stage. 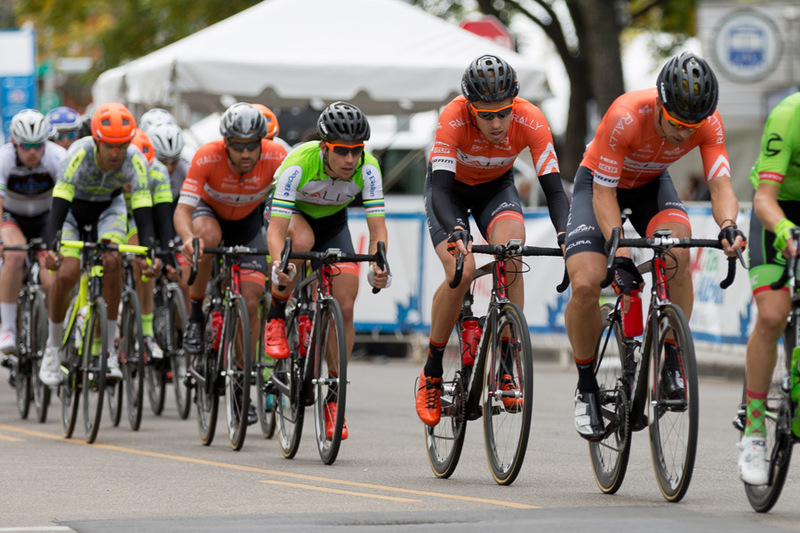 We followed race leader Evan Huffman for his 15-minute lap, staying close enough so that we could monitor his condition and pace. 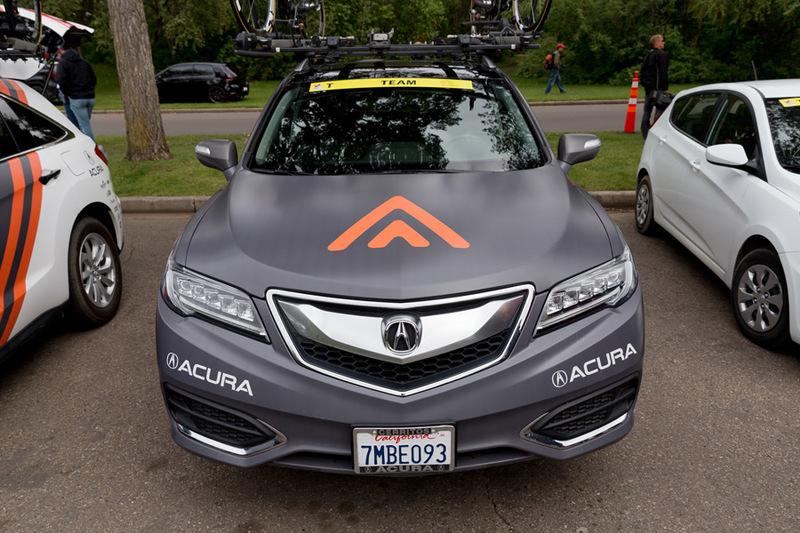 Throughout the lap the team inside the RDX would provide timing updates, course guidance, and encouragement over the radio and into his ear piece. 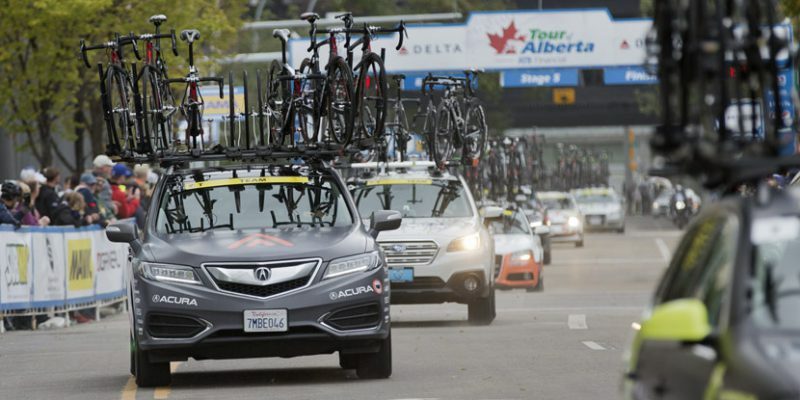 Even in a vehicle, keeping within a few metres of an elite cyclist through tight turns and hairpins isn’t as easy as it may seem – the RDX was pushed with moments of hard accelerating and tire squealing around corners. 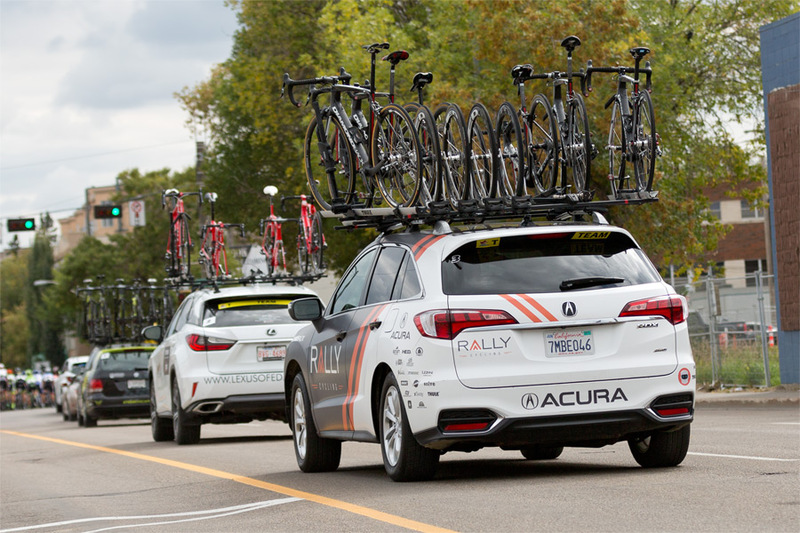 For longer stages, the support vehicle and crew follow further back behind the peloton group and can provide additional assistance by carrying extra equipment, clothing, food, and water for the riders. 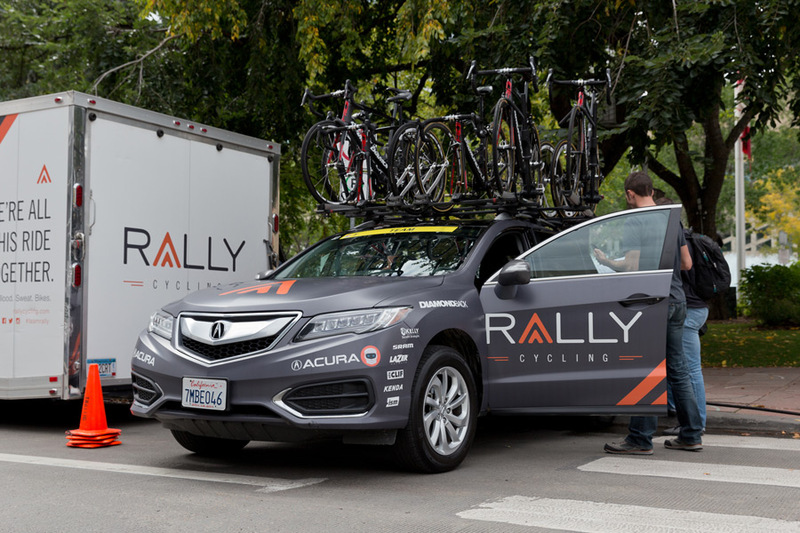 I learned that often a team will choose to support a specific rider, with teammates drudging through the other competitors to deliver supplies to and from the support vehicle. 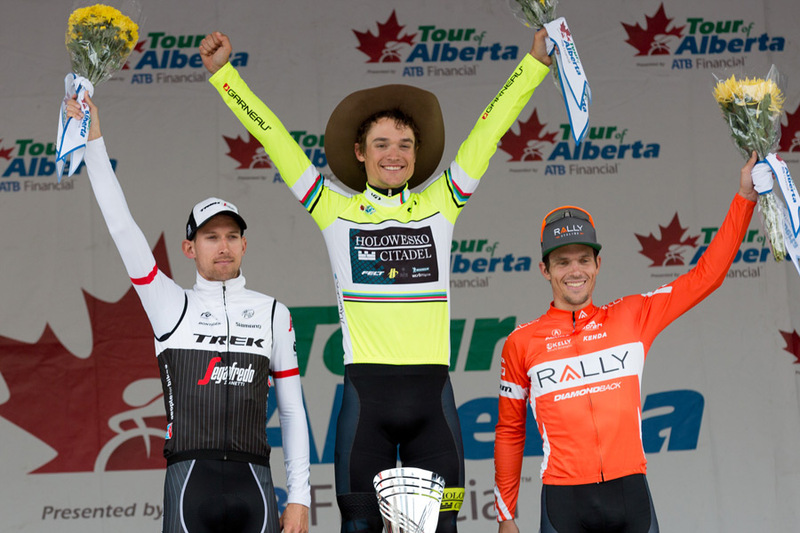 After five days of racing that stretched over 600 kilometres, Rally Cycling’s Evan Huffman claimed a stage three victory, and finished third overall at the 2016 Tour of Alberta. 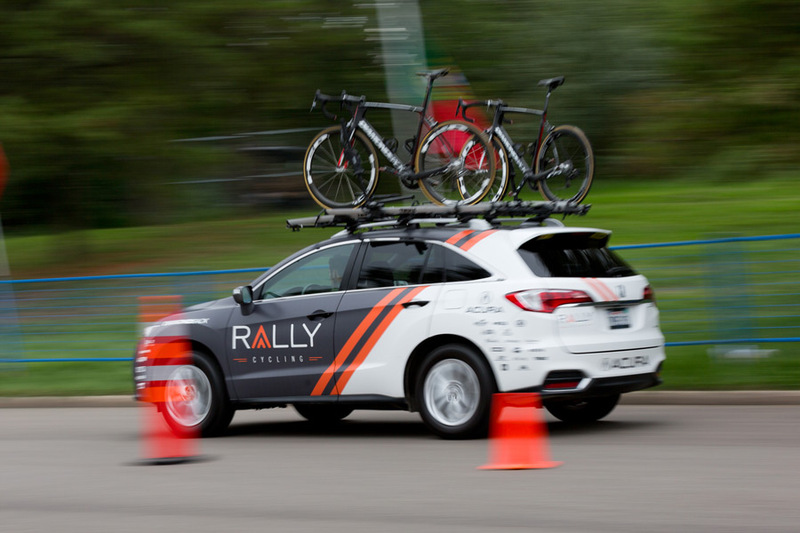 Head over to rallycycling.com for the full recap.